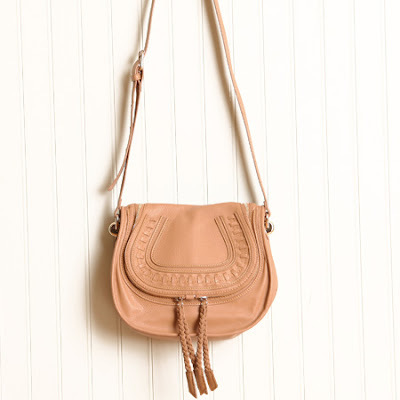 Chloe's Marcie shoulder strap bag retails for $1265 at Neiman Marcus. I love this version from Melie Bianco, which is a great alternative to the Chloe bag for a more budget friendly price. This one retails for $75.99 at Shop Ruche and you can click here to purchase. Love this bag, and the alternative -- thanks for the great find!